Hyundai Joins U.S. Energy Department for the new Fuel Cell Partnership! - Muscle Cars Zone! Hyundai Joins U.S. Energy Department for the new Fuel Cell Partnership! Hyundai joins the Energy Department on a public-private partnership named after the chemical symbol for hydrogen “H2USA”., This institution will focus on developing hydrogen infrastructure in order to support more transportation energy options in the U.S. with the FCEV (fuel cell electric vehicles). the H2USA partnership joins together gas suppliers, government agencies, the hydrogen and fuel cell industries and car producers: Nissan, Toyota and Mercedes-Benz. H2USA will join the experts together to solve the infrastructure challenges and leveraging low-cost natural gas resources in order to support the progress of the carmakers and private industry. Government and industry will act to encourage early adopters of FCEV-fuel cell electric vehicles, with technical and market analysis as well as establish an alternative fueling infrastructure to enable cost reductions. The Assistant Secretary for Energy Efficiency and Renewable Energy, David Danielson said that fuel cell technologies are very important part in the initiative to diversify U.S. transportation sector, reduce our dependence on imported oil and in raise our competitiveness in the world market. 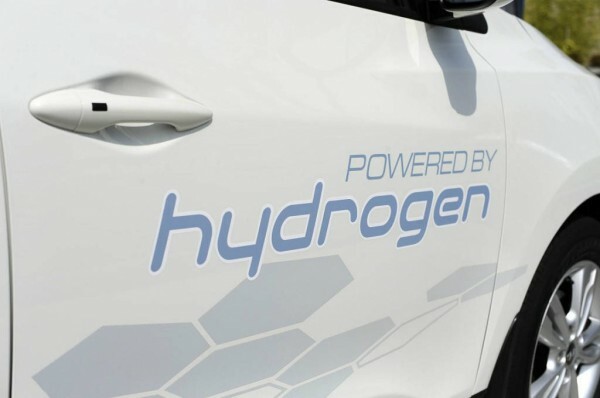 The “H2USA” partnership will help to make the fuel cell electric vehicles more for the customers. Hyundai already made fuel cell version of the Tucson (ix35) with the plan of selling 1,000 cars by 2015. Hyundai is the first and only. Tucson/Ix35 Fuel Cell will play an important role in demonstrating of the benefits of this technology. Hydrogen is a very practical source of sustainable and clean energy. This pioneer vehicle will help the LHP to create employment and investment opportunities when the hydrogen infrastructure will be developed. Hyundai ix35 was used by the European Commission representatives and Fuel Cells and Hydrogen Joint Undertaking to demonstrate the benefits of fuel cell technology to the members of the European Commission and European Parliament officials and other EU institutions` policymakers.